Black text on white background. Domov > News > GENDER EQUALITY – WHAT HAVE MEN GOT TO DO WITH IT? GENDER EQUALITY – WHAT HAVE MEN GOT TO DO WITH IT? 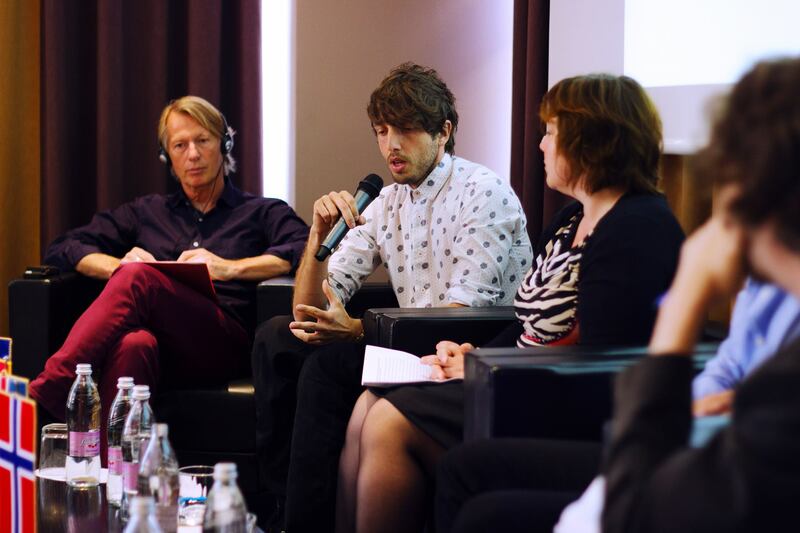 The 4th discussion on gender equality called “Gender equality – what heave men got to do with it?” took place on Friday 8 May 2015 in Ljubljana. The aim of the discussion was to address the role of men in establishing gender equality, and to find answers to the question of why the issue of gender equality pertains to women as well as to men, and to identify the areas where men find themselves in an unequal position and how men can become active with the aim of eradicating gender inequality and strengthening the role of men in the field of the participation of men in childcare and caring for family members in need of assistance. The discussion target groups were youth, men and women, men and women political decision-makers, employees in the field of education and science, media and everyone involved in the subject matter of the discussion, either privately or publically. You can find further information about the discussion at the dedicated website of the Ministry of Labour, Family and Social Affairs which organised the event.